In The Orchards, it's the little things that make a big difference. Serene tree-lined streets, walking paths and parks are the foundations of a community that grows with the families who call it home. It's a lush 500 acre community in southwest Edmonton that offers endless opportunities for active living. 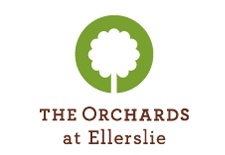 The Orchards at Ellerslie may be a new community, but that doesn't mean it's lacking in amenities and services. 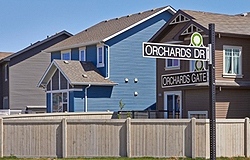 Located just north of Summerside, The Orchards gives residents access to all community necessities - like fire, police and medical faculties. 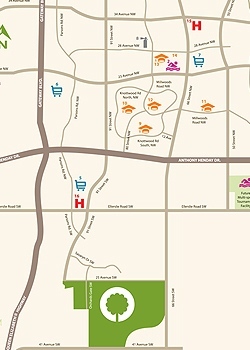 If you're looking to hit the stores for a little shopping, Ellerslie road has all your family needs, plus, South Edmonton Common is less than 10 minutes away, just one of the benefits of The Orchards being close to Ellerslie Road and Anthony Henday Drive. An important aspect of a successful neighbourhood is nearby schools. Two new schools are set for completion in short order: a new Catholic K-9 school, Father Michael Mireau, is set to be finished in 2016 in Lake Summerside and a K-9 public school for January 2017 in The Orchards. At the heart of the neighbourhood is a brand-new, and still under-construction, exclusive Resident’s Association. This 8-acre recreation area, a staple of most Brookfield Residential communities, will be a year-round recreation facility. 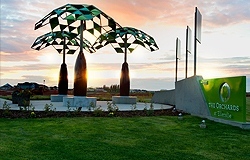 Recreational programming, tennis courts, skating rinks, picnic areas, a splash park and playgrounds will all be part of what is sure to become the centre of this vibrant community. Explore our show homes Monday through Thursday 2:00 - 8:00 p.m. and weekends from 12:00 - 5:00 p.m. (Brookfield Residential showhomes are open Fridays from 12:00 – 5:00 p.m).